The new 4x4 from Yuxin provides excellent value for money. This speedcube sports a well designed anti-popping mechanism delivering overall excellent turning speed and control. Factory Florian-modded pieces completes the cube for improved corner cutting. A perfect starting cube without much of a need for modification (plus it is SO worth it for the price alone!). Overall, the cube turns nicely and smoothly but internal slices are a bit sluggish and slow. This is a good beginner cube to start off with. 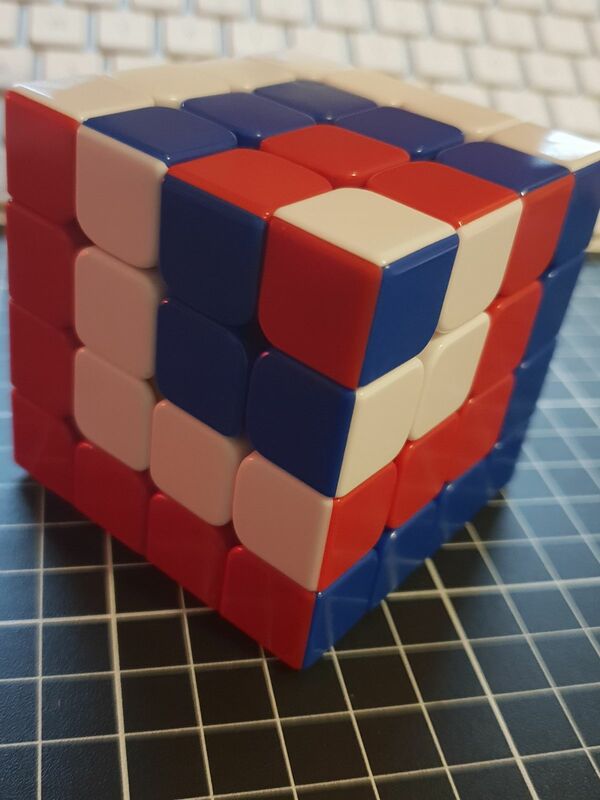 When I first got this cube it was tight and very locky. However, after having this cube for a few weeks it has become extremely smooth with phenominal corner cutting. I very rarely get the 4x4 lock-up now (involving the internal pieces) that was prevalent out of the box. This cube did take a lot of breaking in and setup to get it to a place where it can be solved enjoyably. If you're looking for a nice 4x4 for a median price I'd chose this one, but if you have the money take a look at the Aosu. Out of the box it was super slow and sluggish, lubing it didn't help much. Eventually i got it to turn semi-decently however it felt really unstable and wobbly, It's not even loose. Then after like... a month or so of casually playing with it, It is not good for speedcubing, one of the centers just snapped in half. One of the worst 4x4s ive tried. ShengShou is much better. This is an amazing cube, it is fast, stable and feels good in the hand. The delivery was amazing as well.